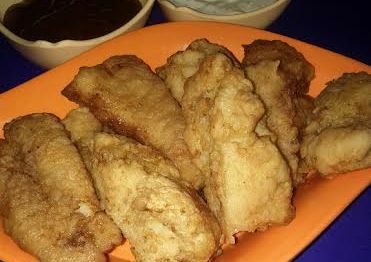 Try this recipe of Fish finger which is simple and tasty, perfect to serve as side dish with your favorite dip. In a large bowl add ginger garlic paste, salt, black pepper powder, red chili powder, mustard powder, ketchup, lemon juice along with the fish strips. Toss to combine. Marinate fish fingers in mixture for 30 minutes. Take out flour in a plate. Dip fish strips into the egg and then roll in flour . Coat all pieces with the same method. Heat oil in a large frying pan. Fry fish on medium heat in batches until golden and crisp from both sides. Take out on paper towel so that the excess oil is absorbed by the towel. Transfer finger fish to a serving plate and serve with Tatar sauce. Enjoy!